Recently I posted another little TV trivia quiz – essentially, a commercial had asked, “Do you have what it takes to run a TV station?” And to that, I immediately responded, I have a wheelchair and a fedora – of course I have what it takes to run a TV station! I was referring to a certain character on a certain TV show. 150 points were on the table – and Doug won them all! Congratulations! What was the show? 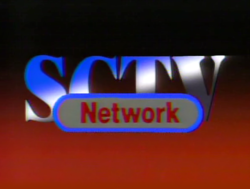 Why, SCTV of course! Who was the character? None other than Guy Cabalerro! You get 50 points for each correct answer. Cheers! P.s. my fedora is red and I don’t have a matching suit, but I could still run a TV station.